Whenever I take on new coaches at APA one of the first things we go through is the Physical Competency Assessment (PCA). In this week’s blog we take a closer look at this assessment. The assessment methods described there are slightly different to the ones we use at APA. I have to give credit to Kelvin Giles for first putting me on to the Physical Competency Assessment. I had tried the Functional Movement Screen (FMS) but just felt it was too time consuming and replicated some of the musculoskeletal assessments the physio was doing. 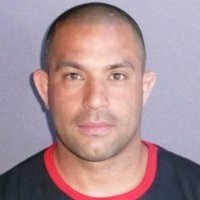 I met Kelvin at one of the early UKSCA conferences where he was presenting. At one point Kelvin was also a consultant advisor to the Lawn Tennis Association and introduced it into the profiling that was done with National level players at the National Tennis centre. This has changed and evolved over the years. Below is a snap shot of the current profiling taking place at the LTA. The flexibility, y-balance and core endurance assessment is the domain of the physio team. 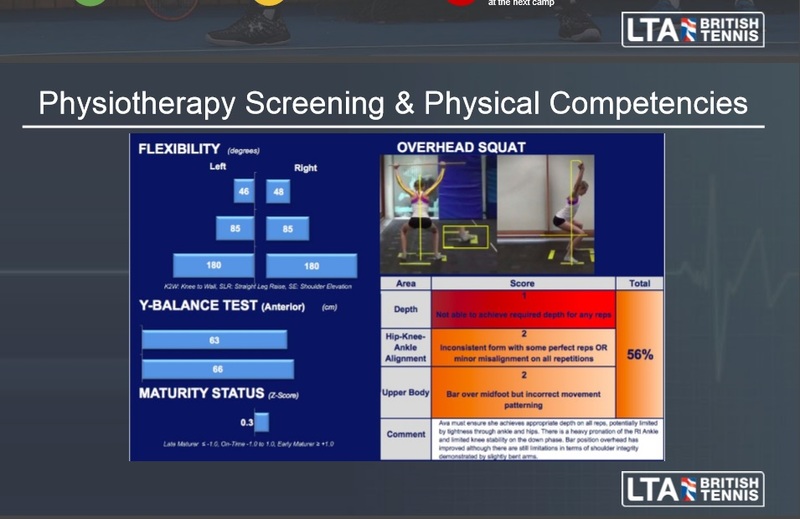 With regards the physical comps, the tests have remained the same (OH squat, SL squat, Forward & Lateral hop & hold and Press-up) for quite some time. The purpose is to assess range, patterning and stability in bi-lateral, uni-lateral and dynamic balance exercises plus a measure of trunk / upper body stability & function too. In rather simplistic terms, a score of 1 represents poor range and dysfunctional movement, 2 is fewer and/or smaller dysfunctions, 3 is appropriate and repeatable technique. Over the last 9months, feedback has almost exclusively been related to OH squat as there was enough to highlight here rather than open a bigger can of worms with the single leg exercises. Rather than type lots of words here I will simply share with you a video that I made for my coaches. You can have it too! 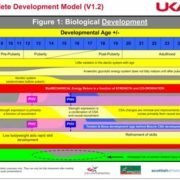 ”Random question…from an adaptation perspective kids are aerobic animals and can play all day quite naturally without much/any training…was just wondering if anyone could shed some light on where this ability (effectively work capacity or aerobic capacity if you will) disappears to as kids get older? Is it simply that their aerobic system has adapted faster than their body size so relative to bodyweight they’re aerobic system is in better shape than it will be when they reach adult weight/height? I have underlined two statements above which I want to focus on. Let me start by setting the scene. Youth Training is one of my passions. I think practitioners like Rhodri Lloyd have done great work to pave the way for new understandings of the training process and long-term athlete development (LTAD) principles. It’s thought that when working with children certain biomotor abilities such as speed, strength and stamina have ‘windows of opportunity’ wherein they seem to develop at an accelerated rate in response to growth and maturation. However, I’ve never been comfortable calling them ‘windows.’ First of all it implies that the opportunity is only open in a discrete period- ie at any other time the development of these abilities will be less. It also implies that growth and maturation status should be the determining factor for tapping into a specific biomotor- ie. don’t focus on strength and stamina until after peak height velocity (post-puberty). Figure 1. Lloyd, R. S., & Oliver, J. L. (2012). 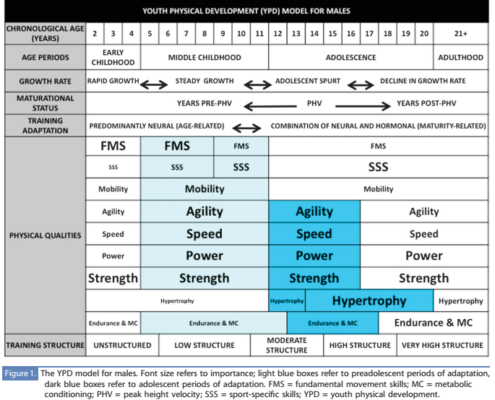 The youth physical development model: A new approach to long-term athletic development. 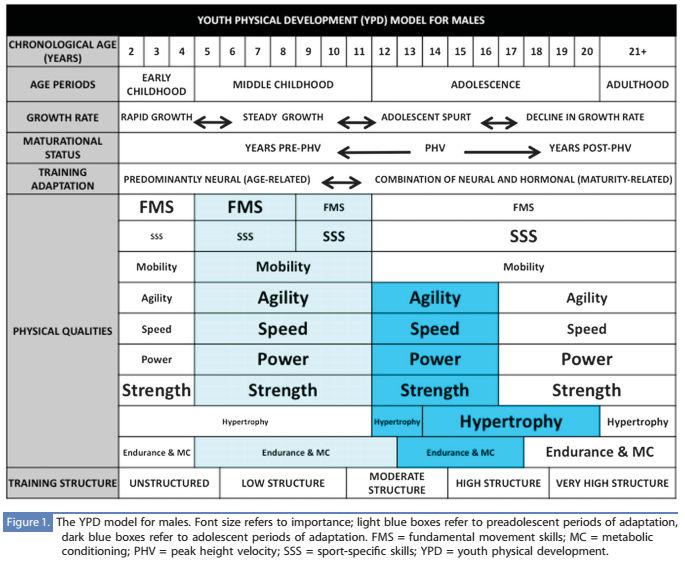 The YPD model above highlights that all physical qualities can be worked on all of the time but with a different emphasis. This model was acclaimed for showing that strength should be focused on THROUGHOUT the training journey. As it relates to Endurance and metabolic conditioning, it suggests that Endurance should receive more focus toward mid to late adolescence, in the years post Peak Height Velocity (PHV). This supports the argument that children respond better to endurance training once they are physically mature. As a headline I would be more inclined to extrapolate the same findings on strength training to endurance training- namely endurance capacities are trainable throughout childhood. Are children aerobic animals as the coach points to in his opening question? I have always been taught to view children as ‘metabolic non-specialists.’ This means that young children are equally happy and adept at running a school cross country event or a 100m sprint race, and show a capability to do both well. They can respond well to training of both the aerobic and anaerobic energy systems at all ages as the research paper above shows. However, once they reach PHV the body will develop the muscle architecture and energy pathways that favour accelerated development of these systems. So what did the coaches make of this debate? Click on the PDF Link below for some fascinating insights into this topic. This concurs with the observation that children are not fully capable of utilising the recruitment of type II muscles so they mimic the characteristics of type I. This might explain why younger kids hit top speed sooner because their anaerobic systems aren’t as developed, and that’s what impacts their sprint speed over longer distances? They have type II fibres but they are not yet efficient in being recruited maximally. 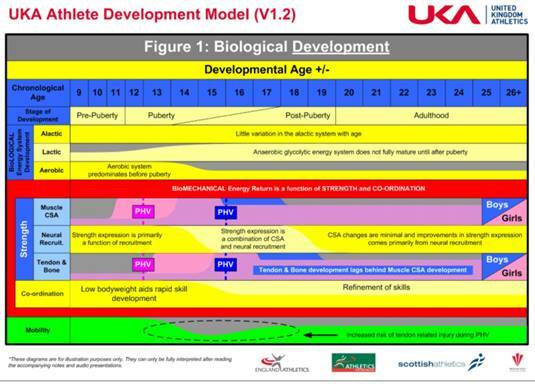 The UKA Athlete Development Model speaks to the Physiological adaptations in more detail and says that the anaerobic glycolytic system does NOT fully mature until after puberty. It also says that there is little variation in the ‘alactic’ system with age. In terms of the Biomechanical factors it shows that the capacity to utilize the energy return is a function of improved strength through firstly coordination (recruitment) followed by cross sectional area. In addition to the discussions on muscle fibre type there were a few interesting discussions on some related topics such as fat mass and role of skill in running economy. Children have less visceral fat and also less muscle. Check out this article below. Despite the above advantage of the older children having larger body composition (and probably more muscle mass) the results indicate that in both females and males, individuals with larger body composition had faster speeds but individuals with smaller body composition and with greater technical skill were as fast as or faster than those with larger body composition regardless of technical skill. There is also a reduced ability to produce anaerobic enzymes? At this point I’d like to get involved in the discussion. I majored in Exercise Physiology as an undergraduate and did my Masters in Exercise physiology so I’m passionate about this. As I have stated before in the previous blog about misunderstanding of principles biomechanics and motor learning, there is also a fair amount of misunderstanding about physiology too! 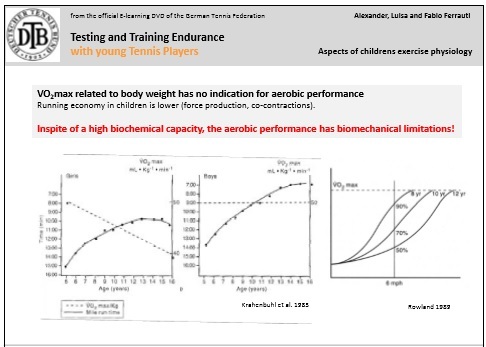 Children ‘seem’ to have lower anaerobic capabilities (in terms of enzyme activity, glycogen stores and blood lactate concentration) and a good capacity for aerobic exercise on the first view of their biochemical profile, but this has no implications for aerobic and anaerobic fitness and endurance training! Let me explain!!! Research has now shown us that while children have a better aerobic profile than adults in as much as they can attain steady state quicker than adults, the biochemical profile does not correspond to aerobic performance. The fact remains that older children always outperform younger children on running tests even when matched for VO2max relative to body mass. VO2max related to body weight has no indication for aerobic performance. Running economy in children is lower (force production, co‐contractions). In spite of a high biochemical capacity, the aerobic performance has biomechanical limitations! Just as with aerobic exercise, anaerobic capacity is adapted to body composition meaning adults always outperform children in terms of the absolute amount of power that they can produce repeatedly. Evidence to support this inability of children to work anaerobically comes from the research which shows that children produce a lower concentration of Blood Lactate ([BLa]). However, as the figure depicts below, children have a lower relative and absolute muscle volume and a relatively higher blood volume. As a result of having less muscle volume and more blood volume children will not produce as much blood lactate. But this is no evidence of a lower anaerobic fitness– if you define anaerobic fitness as ability to repeatedly work at a high intensity within a defined drop off of power. 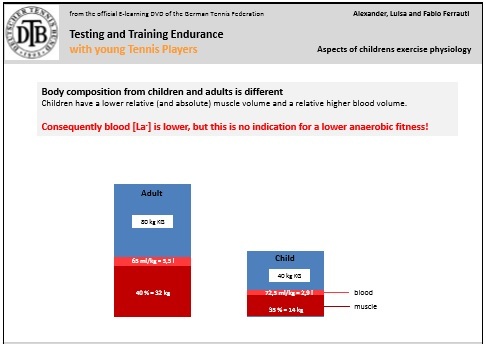 Adults will continue to produce more and more blood lactate as they repeat the same anaerobic work whereas children will only produce so much blood lactate. They have a smaller engine but they produce smaller emissions. They are efficient at being able to reproduce fairly stable levels of power! But what is interesting is that even with this smaller but stable amount of blood lactate in the blood stream children are still able to regulate their pH at a constant level. This compares to adults where as the [BLa] increases there is a reciprocal decrease in pH. Consequently during repeated sprint activity children will achieve lower absolute power output values in every bout but the drop off in performance will be relatively lower as a percentage and they can maintain a higher overall level of performance! Develop their aerobic system fully or try work on improving what they aren’t as good at naturally (glycolytic)? Develop the aerobic adaptations through high intensity aerobic games. I personally wouldn’t say it would be a ‘waste of time’ but I understand the sentiment. I would however agree that playing some high intensity aerobic based games would be well suited to the younger athlete. What is sport specific training and how much should kids do? This blog is one I am really excited to write. I have been really enjoying being part of a Youth Strength & Conditioning forum on Facebook. So in the last few days a couple of questions came in that got me fired up and excited to contribute to the discussion. One question was about sport specific training for children and another was about endurance profiles of children. I thought I would share some of the learnings here and I’ll address the first topic in this post! 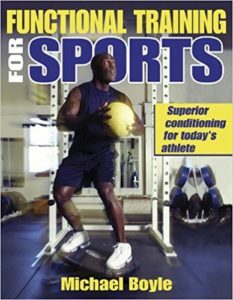 Just looking to start a bit of a discussion on sport specific training. I was asked the other day if I would be giving their 12 year old daughter sport (tennis) specific training. I simply stated I would be working on the fundamentals that underpin any sport such as movement competency/efficiency, strength, mobility, balance/coordination etc and that this would be most beneficial for his daughter. The father did not seem very convinced after our short discussion. Maybe I should have stated that the child needed ‘individual specific training’ in order to make her the best she can be. I was wondering what you guys would say to any parent who asks for sport specific training for their child? I’ve already written quite a bit on this topic. Early Specialisation: To much of a good thing? I personally think that of the 170 + blogs I have written since 2012 the early specialisation one is perhaps my best one in my opinion. I’d love to hear your thoughts. 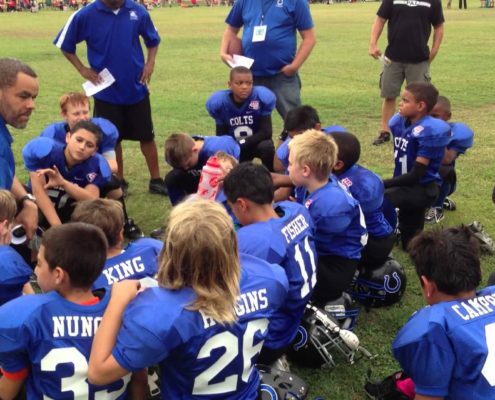 It was also suggested to define clearly what the parent meant by the term sport specific. It’s best to ask the parent what his definition of specific training is first. 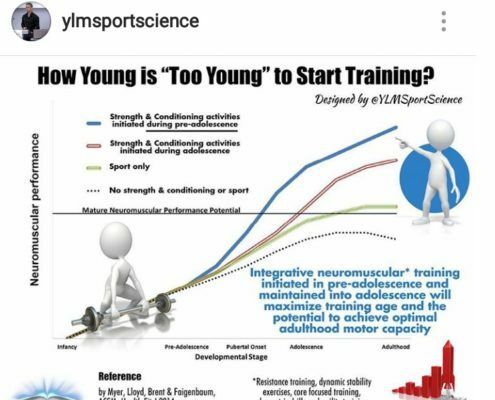 Then explain you will be programming individual, sport, maturation and training age specific training. It’s amazing how much more buy in you will get if you just take the time to show how something will improve performance indirectly. ‘Link it back to their specific sport. Show the parents how mobility/balance/strength will improve their child’s performance. 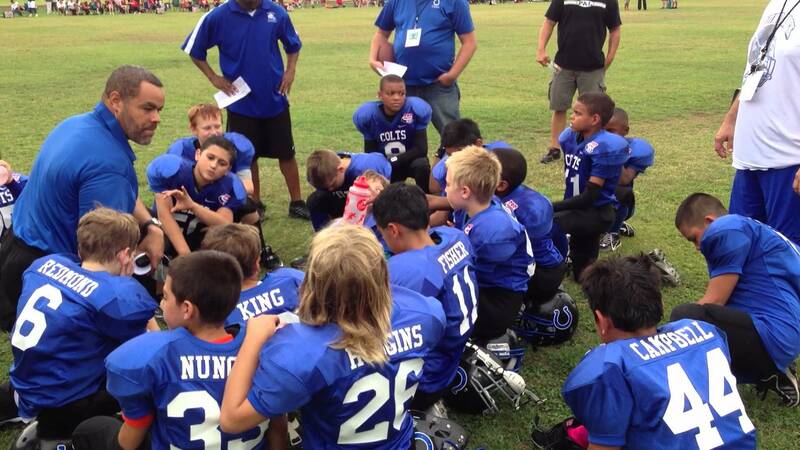 I find most parents idea of S&C or any sort of performance coaching is very uneducated. They don’t understand how the body works and are then quite sceptical about anything they haven’t “seen before”. If you can give a clear example of how a certain exercise will improve their kids physical performance (in the specific sport), in my experience, they are far more accepting of my methods. So basically, if you say you will be working on the fundamentals that underpin the physical demands of tennis, then give an example, you’ll get a far better reaction. Of course the fundamentals underpin every sport, but the parents are paying you for tennis specifically, so gear everything you say back to tennis performance.” Cathal Murtagh. 2. If the athlete hasn’t trained before then a general strength program will make the most improvements and set up for power training later. 3. Make the dad happy and yourself…compromise. 4. Use things like med balls (or back it up to isometrics) for the extra power and can work on techniques right away. I’ve worked with many female tennis players and parents at this stage. Understand Long Term Athlete Development: It’s all in the Blend! 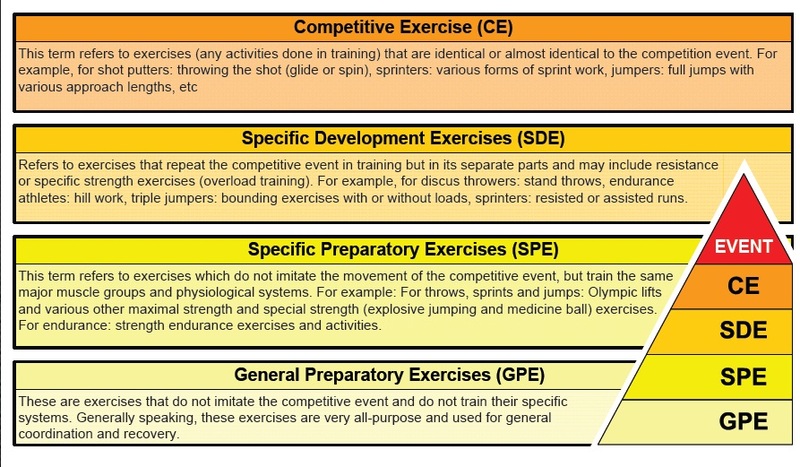 Every athlete should do a blend of training that falls on the spectrum from very general to very specific. This wasn’t mentioned in the discussion but for me it’s the big piece of the puzzle that needs to be discussed. If you read my content regularly you’ll hear me say it time and time again. My APA Training System is all about concurrent programming of all the biomotor abilities. This means that in any given training session or training cycle there will be a blend of different types of fitness components (suppleness, skill, speed, strength and stamina) AND……….there will be a blend of means and methods that develop both general and more specific qualities. So in the example above the 40% proportion of the training session might be very general in nature for a athlete with limited training experience. The same 40% might represent very specific training with a more advanced athlete. But the question you need to educate your parents on is why???????? Why is it necessary to do exercises that don’t look like the sports movement??? ”There is a difference between specificity and specialisation. Specialisation infers you have a major focus in one sport. We don’t encourage specialisation in most young athletes. However, specific training simply means that you are training the particular skills of a given sport at a moment in time. You can be specific in training without specialising. This is appropriate. When a young child comes for a tennis lesson the parent expects the coach to be teaching the ‘specific’ sport skills or ‘techniques’ of tennis- not necessarily doing skills like football passes, rugby throws and so on- ie multi sports. They want forehands, backhands and serves. In S&C the parents therefore have the same impression- that you will be doing ‘physical skills’ that are specific to tennis. I can see their logic- maybe they expect to see multi directional sprints, throwing a medicine ball using the same muscles as the shots etc. Therefore we have to appreciate why the parent might have this perception. 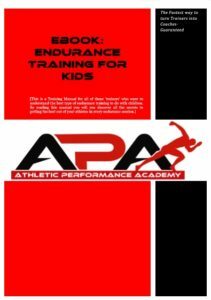 APA’s slogan is ”Maximising your Athletic Potential.” Potential takes time to be realised. I compare the athletic potential journey to the academic learning one. Apart from the 2% outliers of proteges who are members of MENSA- the society for bright people who have an IQ in the top 2%- most of us need time to develop our knowledge and skill. 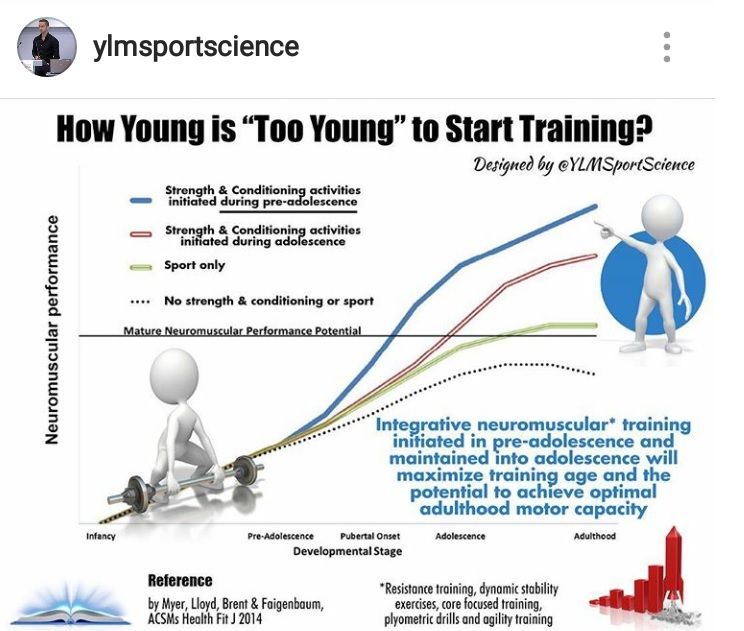 But the good news (see Figure above) is that if we start them early doing Strength & Conditioning they have a greater chance of realising a higher neuromuscular performance potential!! Most important for this discussion is that the potential is higher than doing sport alone. However, starting early doesn’t meaning rushing through or skipping steps. 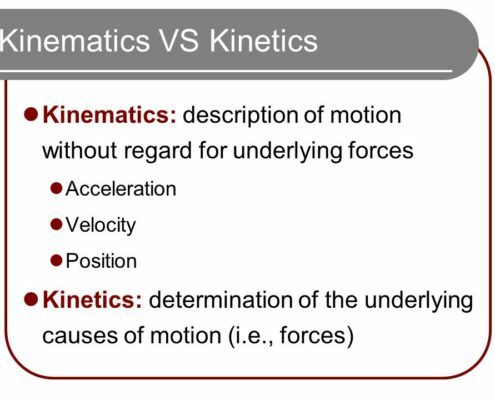 Let’s look briefly at sports biomechanics- understand the difference between kinematics and kinetics. 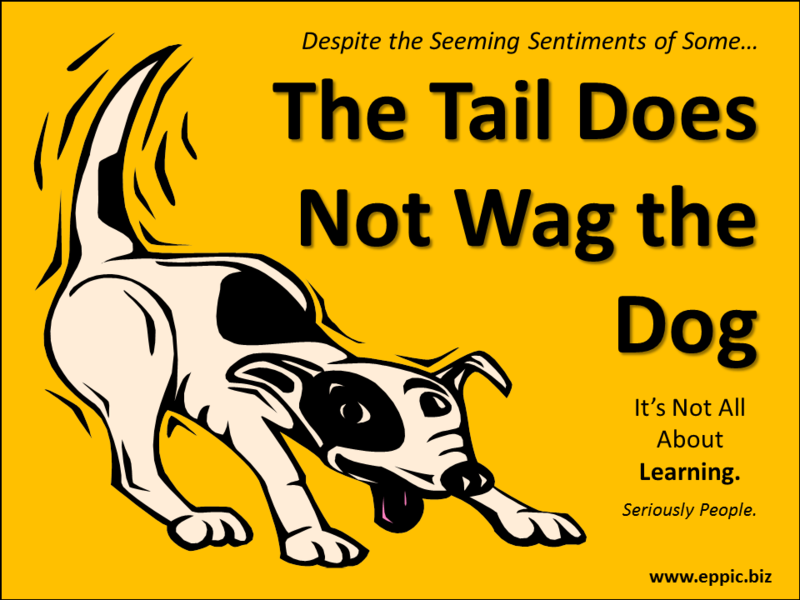 http://athleticperformanceacademy.co.uk/wp-content/uploads/2017/06/tail-doesnt-wag-the-dog.png 720 960 dazdrake http://athleticperformanceacademy.co.uk/wp-content/uploads/2015/05/APA-Logo1-300x156.jpg dazdrake2017-06-24 09:14:512017-12-17 08:07:38What is sport specific training and how much should kids do? 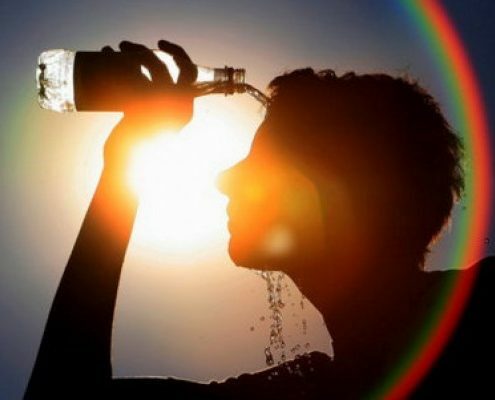 We have had some seriously hot weather these last few days. I’m not used to it and have found it hard to concentrate. But with summer upon us it is also making me think about getting myself in a bit better shape. I recently did a bodyfat test and I was at 15%. I have been as low as 9% two years ago and would be happier walking around the beach if I could get closer to that this summer. 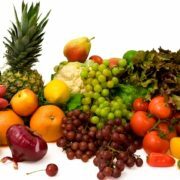 The following blogs are based on specific strategies I have used to decrease my fat percentage. So how did I lose 7% bodyfat in 2 months?! In addition to targeting fat loss strategies I have also written about general nutrition principles. Nutritional 101: What supplements should you take? 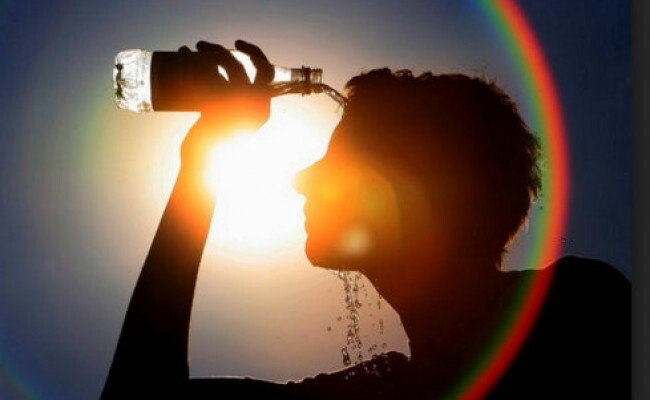 Proper nutrition can help my athletes stay focused especially when it is very hot. 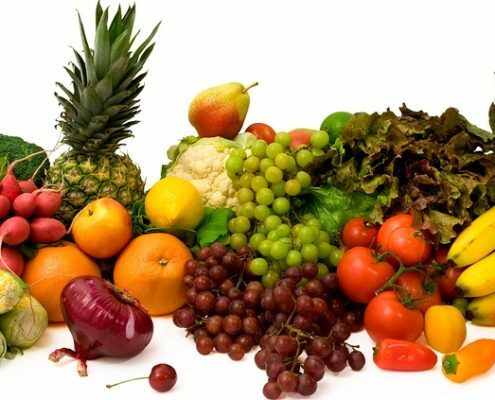 It’s a good time of year to encourage them to try more fruit and vegetables. Salads are the order of the day when it’s hot. No one wants to have the comfort food we normally have in winter. So foods like egg, salmon, kale, tomatoes, nuts, avocados, berries are great foods to eat as snacks or have as part of a smoothie, a salad or even a light stir fry. One thing I haven’t done is provide a comprehensive guide to Sports Nutrition- those nutritional strategies you adopt in the lead up and wind up of a major sports competition. Well thanks to some more digging I don’t have to because my friends in the hockey world already have done! Your’re welcome!! Pro Stock Hockey, came up with a nutrition guide for hockey players that features a game plan taken straight from NHL trainers and staff. It really benefits players considering nutrition is greatly overlooked and is a very important part of excelling at the game. Which is better- Back squat or Split Squat? 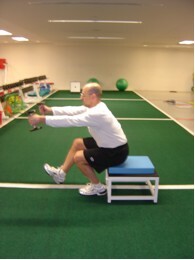 Mike Boyle wrote Functional Training for Sports in 2004, and since then has been a proponent of unilateral or single leg training. During promotion for his Functional Strength Coach DVD he went on record to say, ”Squatting is not a lower body exercise. It is a lower back exercise. At some point your lower back doesn’t allow you to transfer any more force through your legs and you stop.” Meaning at a certain point for most athletes, the ability to stabilize through the core/torso during the back squat becomes the limiting factor to increasing squatting load. He talked about some of his athletes who could do 115 lbs split squat for 15 on each leg. Mike affirms that in a back squat the failure, the injury area, is always the lower back. ”If we can take the load and cut it in half that has to be a good thing. So what are the best options for single leg training?? Thanks to years of experimental data with Mike Boyle he was able to suggest a tried and tested progression. Before progressing on to unilateral work Mike suggested that you want to build up to around 50% bodyweight for a bilateral Goblet squat. Let’s look at how you can progress the Lunge pattern into the single leg squat. Start with a goblet squat hold. This helps to keep the torso upright. But when you get up to a certain weight….Mike found athletes complained that the big toe was killing them on the back foot. Quadricep dominant version– in this version with a tall torso the centre of mass is back right over the hip and because of this the quadriceps are having to do a lot more work. Glute dominant version- in this version the trunk flexion drives hip flexion and now the centre of mass has shifted forwards in between the hip and knee and increases the demands on the glutes. => it’s an elevator not a saw- vertical orientation of push, with knee just a little bit posterior to hip so you get a gentle rectus femoris stretch. The idea is Goblet load until you can’t goblet load any more- you can’t get the weight up anymore. At that point go to dumbbells held down by your side. 1.0 x Body weight for 10 reps. So a 200lb athlete could lift 100lb in each hand. The “pistol type” version Mike used initially (see above) caused some low back pain in some athletes, particularly those with long femurs. He solved that by using two boxes, one to stand on and one to squat to. They solved that by using two boxes, one to stand on and one to squat to (see below top two images). 80lbs x5 is good for a one leg squat and 110lbs x5 is excellent 110 lbs (50 lb vest w/ 30 lb DB’s). He said track coaches often get ‘twitchy’ about doing heavy squats once it gets closer to important competitions but they were only too happy to let him put 10-50% body weight (BW) through them on one leg!!!! This was a sneaky way to keep going with strength training. 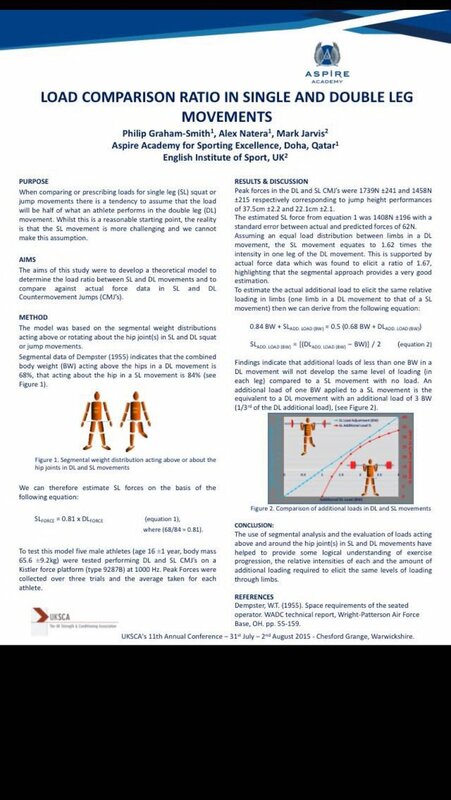 Owing to the fact that 68% of the total system mass is supported during double leg movements versus 84% of the total system mass during single leg movements we find that you can use ”less load” with single leg work BUT have the same effect as doing very heavy double leg work!!! 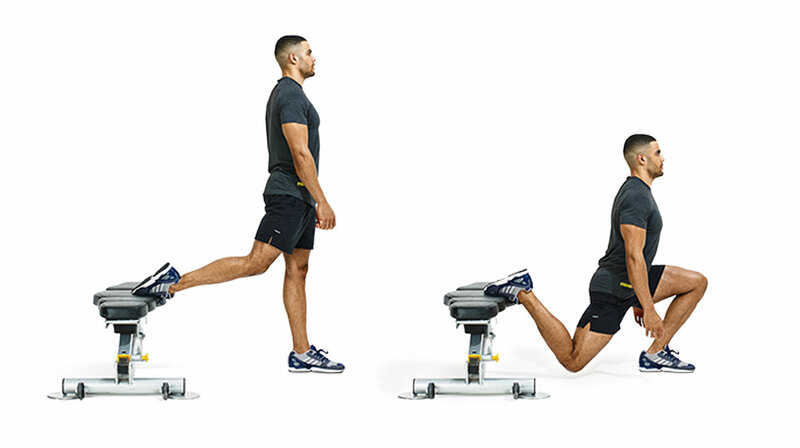 Assuming an equal load distribution between limbs in a double limb movement, the SL movement equates to 1.62 times the intensity in one leg of the double leg movement. Mike doesn’t have his athletes back squat heavy. He teaches them the squat pattern early on with a goblet squat so that they can be set up for the olympic lifts which he does use in his programme- but the back squat is not a focus. Like anything in life it is never black and white. 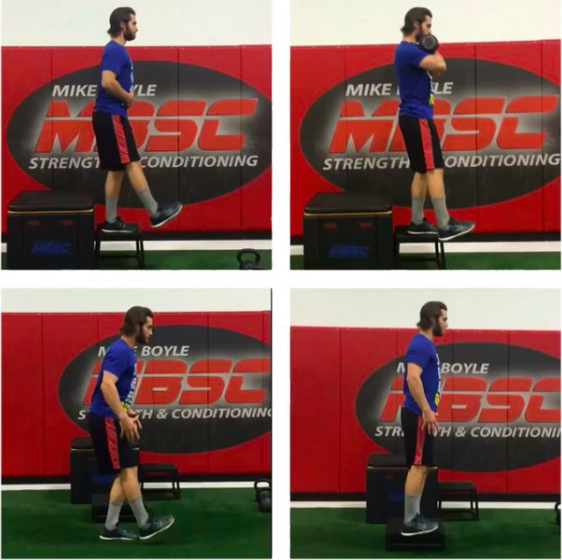 I respect Mike for taking a stance on this because he believes the compressive loads at high weights is not a good situation for the lower back. 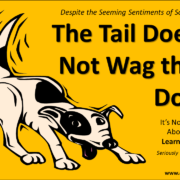 I personally think you need to train both double and single legs with the highest safe load you can manage. But I think it’s really smart to recognise that you can focus a bit more time on single leg work knowing that the spinal loading might be lower but the overall stress through the lower limb is significantly higher. 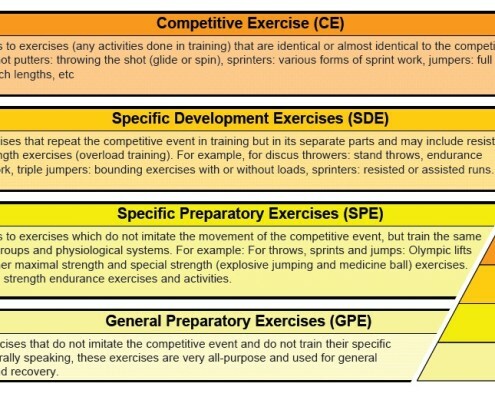 http://athleticperformanceacademy.co.uk/wp-content/uploads/2017/06/Functional-Training-for-Sports.jpg 499 388 dazdrake http://athleticperformanceacademy.co.uk/wp-content/uploads/2015/05/APA-Logo1-300x156.jpg dazdrake2017-06-21 18:48:172018-05-27 20:12:21Which is better- Back squat or Split Squat? This week I delivered a presentation to my team of coaches on a case study of the work I am currently doing with a 14 year old female Tennis player. One of the physical goals of the programme is to improve acceleration technique over short distances. The athlete in question ‘pops up’ very early in her acceleration creating braking forces in front of her rather than pushing back under her centre of mass. 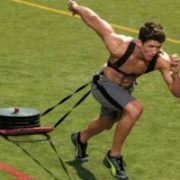 I thought that resisted sled sprints might be a good way to improve this. To develop speed, most power athletes lift weighted loads, sprint and do some jumps. This kind of training allows you to work speed and force from both ends by driving maximal power and strength in the weight room and doing long accelerations with light load. 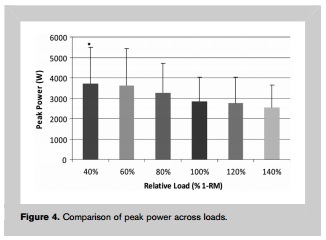 The light load accelerations help to improve efficiency of the physical output using a very specific method. Typical resisted sprinting programmes advocate use of loads equating to 5-10% body mass, and typically we then observe that the time taken is within 10% of the unresisted performance of the athlete. I call this the 10% rule. Indeed a recent study showed that a resisted sprint with a load equating to 5% of body mass prior to a short sprint (20 metres) does not appear to affect sprint times or kinetics. However, it does appear to enhance the rate of force production. More recent advances in this area have lead to the term ”Maximal resisted sled load, or MRSL”, which is the maximal load at which the athlete remains in sprint acceleration from 10 to 20m in a 0-20m resisted sled sprint. I learnt today that it is also fairly common to use very heavy sled training protocols to improve the initial acceleration over the first 5m. This makes sense because initial acceleration is all about overcoming your inertia in the first few steps. 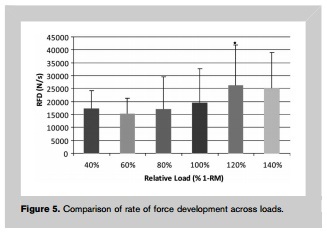 Beyond 5m maximal forces don’t matter as much as how athletes create body speed. A study by Morin et al in the Journal of Sports Physiology and Performance showed very heavy sled training (at 80% body mass) increased maximal horizontal force capabilities, resulting in moderate and small improvements in 5m and 20m respectively. 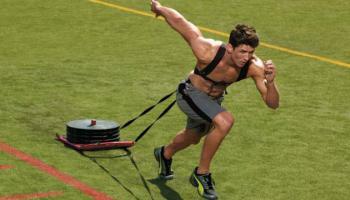 Why does Heavy Sled sprinting help acceleration? It gets them comfortable with very aggressive angles so they get greater exposure than just a few steps like in falling sprints for example. Falling starts are useful but you don’t get to feel the forward lean posture for very long. The efficiency of the physical output following heavy sled sprinting involves a foot strike more under the centre of gravity and thus increasing the time for propulsive force production. This doesn’t mean longer ground contact times. It means it teaches the athlete to use more of the ground contact time to produce propulsive force. This all amounts to more practice of horizontal force application. 2 blocks of 5x 20-metre sprints (2-minutes recovery between the five sprints and 5-minutes recovery between the two blocks). What’s all the fuss about Velocity Based Training??!! Last week I had the pleasure of spending the morning with my former lecturer Dr. Iain Fletcher. 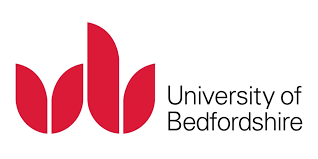 I love popping in to see ”Fletch” who oversees the BSc in Strength and Conditioning at University of Bedfordshire, is an external examiner for a number of Universities and is also a Tutor and Assessor for the UKSCA. Velocity Based training– who cares about Power any way? At first glance these topics might not seem related- but on closer inspection I think there is a common element- our preoccupation with the need to do work, and the ability to do ‘more work’ in a given time. Strength endurance is a term I like to use which is similar to muscular endurance but is somewhat of a bridge between the classical 3×10 with incomplete recovery and the pure strength 5×5 programmes with full recovery. I’ve previously spoken about doing 5×5 prescriptions with incomplete recovery and calling it ‘strength endurance.’ But whatever you call it these type of concepts for me fall into the greater topic of work capacity. The fascination with work capacity is there for all to see- many coaches believe you need to put in a foundation block of ‘work capacity’ training to have the basic level of fitness simply to be able to train properly for an hour with good quality. But what does this mean? Could developing the slow twitch muscle fibre characteristics enhance one’s ability to develop greater force production during more demanding tasks such as maximal lifting in later phases? Or help recovery to be faster between sets in later phases because of more efficient energy pathways? Mike Stone goes on to say that starting with a Volume base causes a short term volume load increase to prepare for his strength cycles!!! This SHORT-TERM VL INCREASE POTENTIATES INCREASED PERFORMANCE – AND MAY BE RELATED TO HORMONAL ALTERATION which are based on the concept of creating fatigue through Concentrated Loading. You are producing a lot of testosterone but due to the high volume you’re also producing a lot of cortisol which induces stress/ fatigue. This is a tried and tested method which seems to produce a greater rebound performance in subsequent cycles once fatigue is removed. So onto my discussion on strength endurance. For years I have been sticking to my guns that 3×15=>4×10=>3×12=>4×8 (or something similar) is a nice progression for athletes to work up to the holy grail of strength programmes around the 5×5 range- where we start approaching and exceeding the magical 85% 1RM load. If you go back through those blogs on strength endurance you’ll see I talk about how higher reps is better because it allows for more reps since the intensity is lower. This is great for skill acquisition and connective tissue adaptations. Rare cases and certain sports will have me chasing growth but most of the time I’ll push for growth using lower rep schemes, with higher loads and high total volumes. Even in early GPP I shoot through the higher reps ranges with each week and by week 4 or so I am already down to 5’s. Even in athletes who might not have “earned the right” I’ll still focus on quality through lower rep sets. I’ll get the volume in with increased number of sets instead. Agreed- for sure with this type of athlete endurance will be gained for getting stronger. When they are an advanced athlete then schemes for endurance based lifting may have importance. Connective tissue responds well to high loads, and volume with high loads so don’t be too concerned about the anatomical adaptations purported to come from a 3×15 scheme. 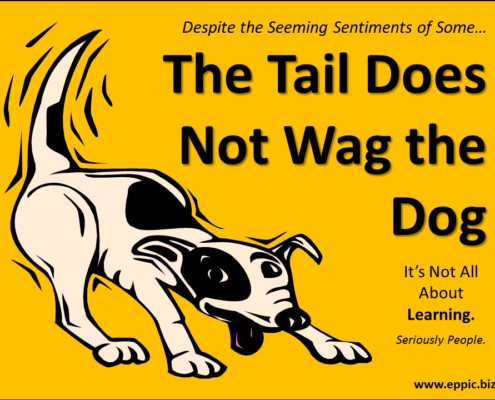 In fact most of the evidence for that comes from text books and articles looking at untrained or recreational trained. Iain explained that you could use the 5×5 prescription but if you only give them 45-60 seconds rest between sets it will negate the desire to lift heavy and you can include several warm-up sets too so you are getting in the volume. Iain said that for sports like rowing, cycling and even wrestling and so on where there is a need to have a lot of muscular endurance you could make a case for doing 15-20 reps at a time although if training time is limited you might as well let the sport take care of the endurance adaptations. For most sports that are acyclic you need to produce short bouts of strength, rest and repeat so he agrees with Alex on the way forward. Get to the 5×5 soon and use more sets and less rest and you’ll get endurance come along for the ride. 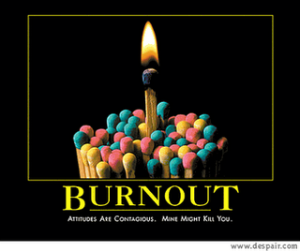 I’ve been thinking again about what are the key performance indicators that discriminate among sub elite and elite. I would normally always answer with the response, ‘Power.’ Lately I’ve been reflecting on this and an article that Iain wrote on Biomechanics made me question why we still put so much focus on Power. Typical thinking about Power puts the emphasis on measurement of Velocity. Let’s look at why. Peak Power is measured during the concentric portion of the movement and typically occurs with a medium force and medium velocity. STRENGTH (Force) is required to produce work. So it follows that coaches value doing the same work in less time to develop power. Going back to this idea that time is the limiting factor you can see why coaches are really concerned with velocity. Velocity is concerned with the time to complete a given distance. It follows that we then want to focus on any exercise which might decrease the time to complete a given distance. Assuming that the distance is constant then yes, moving something in less time will increase velocity, which will increase Power. 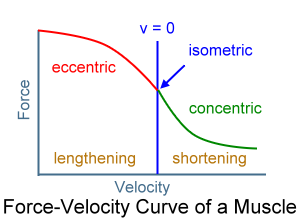 This has led to the proliferation of exercises like speed squats, speed deadlifts and speed presses, and the coaching cue of lifting ‘everything fast.’ But the problem is that these correlations with athletic performance are based on the concentric portion Force-Velocity curve without considering how the musculotendon unit functions in sport where there is usually an eccentric and isometric component. We are focusing on how quickly the work is performed in the entire CONCENTRIC portion of the movement. This is why something like a counter movement jump will produce very high power outputs if you can jump higher but to do this you will have a slightly longer jump cycle (time on the ground) which you will not be rewarded for in most sports actions. These type of moderate load speed exercises which emphasise the concentric muscle action make sense for ballistic striking actions like punching, kicking and even hitting a ground stroke in tennis where there is little to no external resistance other than your limb. But this isn’t the full story! Assessment of the concentric portion of the curve does not grasp the underlying principles of acceleration which states that accelerations are linked to the production of Force. The F-V graph doesn’t account for HOW we produce that force. 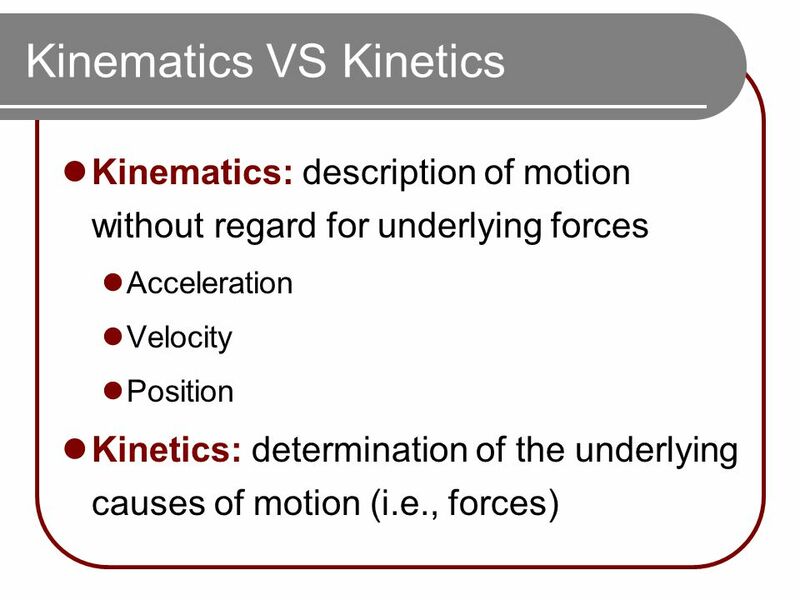 Acceleration = the rate of change in velocity and Acceleration = Force / mass. I think we need to start thinking about the increases in how the forces are occurring over the entire sport movement, not just the concentric portion of the F-V curve. The forces required for sports movements which involve displacement of our ENTIRE BODYWEIGHT in time frames of less than 250 milliseconds are huge. If we only focus on the velocity component we might focus on doing things like jump squats with 0-40%1RM loads because that would produce the greatest bar speed in the concentric phase, believing we are training acceleration optimally. This is often called ‘starting strength.’ I personally don’t like this term. I think it is fine if you are using these loads to augment improvements in the fast striking actions or even eccentric loading of the tendon- which we will talk in more detail below. I think we need to put more focus on what happens at the onset of the concentric contraction, particularly when it takes place as part of a ballistic movement involving the stretch shortening cycle, or at the onset of movement from a stationary position. The graphic below really captures for me the difference between acceleration and velocity. When a pendulum swings from side to side, its velocity and acceleration vary — both in magnitude and in direction — at each point during the motion. The magnitude of velocity of a pendulum is highest in the center (think ‘power’) and lowest at the edges. On the other hand, the magnitude of its acceleration is highest at the edges (think ‘Rate of Force Development’) and lowest at the center. For me this is like what we do when we focus on velocity and power- we look at the velocity at the middle of the movement at the concentric portion. But the acceleration at the start of the movement is key in the initiation of the concentric muscular contractions. If you are trying to improve your ability to start better as in ”get off to a good start in a 100m race” I would put emphasis on heavy isometric loads and heavy Olympic lifts- where you will need to gather large forces quickly, as well as traditional heavy strength lifts such as the Back squat at >85% 1RM. When you have to accelerate your body from rest you will have more time to produce higher Forces. The heavy strength exercise will help with initiation of movement and the explosive strength Olympic lifts will help with acceleration over the first few strides during acceleration. 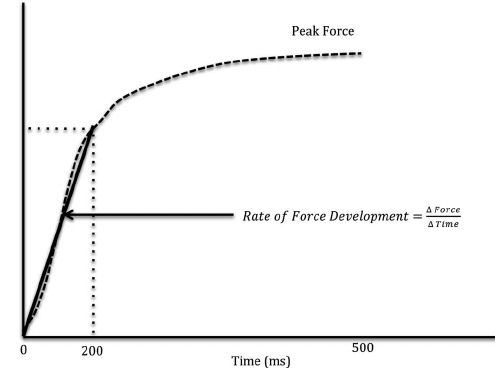 The forces on heavy strength lifts will not be associated with high velocities but the intent to produce maximum rate of force development (RFD) will be!!! 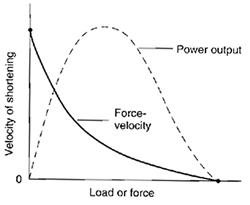 According to Mel Siff- starting strength occurs isometrically before the load is moving. Most sporting movements take place in less than 200 milliseconds- we have limited time in which to produce force in order to be competitive. 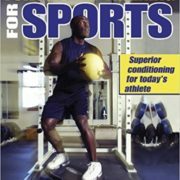 We know therefore that being able to produce force quickly in order to accelerate our body and other objects is vital. In order to produce the required High Forces in only a few hundred milliseconds relies on the eccentric storage and release of energy in the tendons while the muscle tries to maintain an isometric contraction- until the point of release of energy in the concentric phase. This is why ballistic exercises that utilise the ‘Stretch-shortening Cycle (SSC)‘ are more correlated with athletic performance. 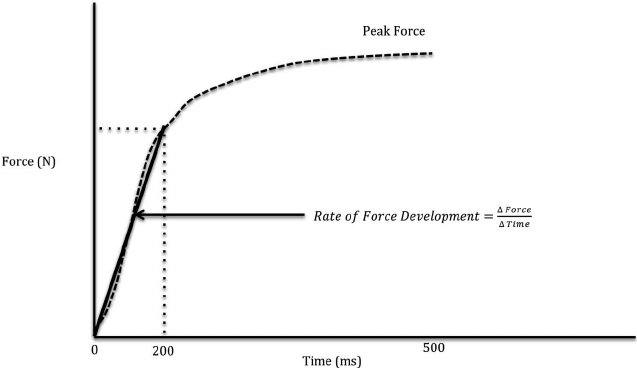 The SSC is associated with a Rapid rise in Force as measured by the Rate of Force Development (RFD). 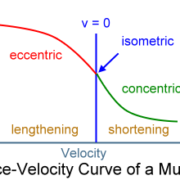 Remember that this concentric measurement occurs after the eccentric loading. In this type of work Plyometric drills are most suited. What are the Best Exercises for developing RFD? Both plyometrics and Olympic weight lifting exercises are a great way to obtain RAPID impulses as measured by the gradient of the Steep part of the Force-Time curve above. These activities are represented at opposite ends on the concentric part of the Force-Velocity curve for simplicity sake. But in reality both are associated with a massive build up of eccentric force on the left side of the curve before delivering the concentric output on the right side of the curve. Dan Baker- Exercises can be deemed by their biomechanical attributes as either “strength” or “power” oriented. In power exercises, the velocities are high and acceleration continues to the end of the range—the forces do not have to be decelerated. Basically the energy is released into the air through jumps, hops, and throws. Olympic lifts also fall into this category (they are jumping exercises, essentially). If the force is safely dampened at the end of the movement, like hitting a heavy bag, then throwing punches and kicking are also power exercises. The length of the deceleration phase decreases as resistances go above 65% 1RM. By 85-90%, there is no real deceleration phase, but the velocities are so low at this level of resistance that they cannot be classified as power exercises. So using light resistances below 50% 1RM in traditional strength exercises to develop power is often counterproductive as it is training the body to decelerate for much of the ROM, rather than continuing to accelerate. The results of the study below nicely summarise what I have been inferring to in this blog- peak power (watts) is produced at the lowest load for the mid thigh clean pull (40% 1RM power clean) whereas the highest rate of force development (N/s) was produced at the second highest load (120% 1RM power clean). 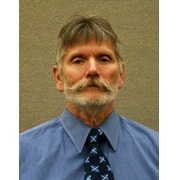 J Strength Cond Res 26(5): 1208–1214, 2012. This study specifically looked at the force-velocity characteristics of the mid-thigh clean pull across a range of loads. I couldn’t do a post that mentions Dr Iain Fletcher, Dr Mike Stone and Alex Natera and talk about strength training without giving a quick shout out to my friends at Emerge Fitness in the USA, who specialise in provided training products for serious strength athletes. They have some great knee wraps for weightlifting. Check them out HERE. 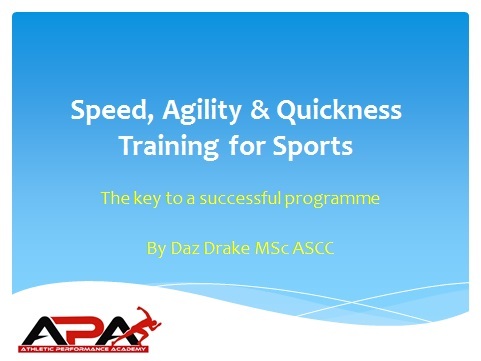 http://athleticperformanceacademy.co.uk/wp-content/uploads/2017/06/ForceVelocity3.png 220 300 dazdrake http://athleticperformanceacademy.co.uk/wp-content/uploads/2015/05/APA-Logo1-300x156.jpg dazdrake2017-06-11 21:56:192018-05-27 20:12:22What's all the fuss about Velocity Based Training??!! Do these drills and you’ll get Faster!!! 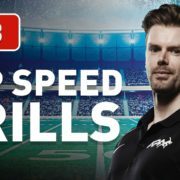 In this week’s Blog I am going to give you some examples of the Speed DRILLS that APA use to get our athletes Faster. I take a lot of time at the front end to make sure that the athlete and coach understand what type of speed quality we are working on. This is because even though the goal is similar- perform the movement as fast and efficiently as possible- the technical model changes in accordance with what type of speed we are working on. In this blog we will focus on the first two types of Speed. In the next blog I’ll give you the videos for the other two!! Also if you’d like to see these drills in real time then come along to the next SAQ for Sports Workshop. http://athleticperformanceacademy.co.uk/wp-content/uploads/2017/06/thumb08.jpg 1080 1920 dazdrake http://athleticperformanceacademy.co.uk/wp-content/uploads/2015/05/APA-Logo1-300x156.jpg dazdrake2017-06-01 17:45:052018-05-27 20:12:22Do these drills and you'll get Faster!! !